The Pacific Crest Trail is commonly known by its abbreviation, PCT and it is often designated as the Pacific Crest National Scenic Trail. The trail system is located on the Western Portion of the contiguous USA Mainland and it passes through the States of California, Oregon, and Washington. The trail covers a distance of 2,663 miles or 4,286 kilometers from South to North or vice-versa. It is one of the three most popular trail systems in the United States, the other two of which are the Appalachian Trail and Continental Divide Trail. 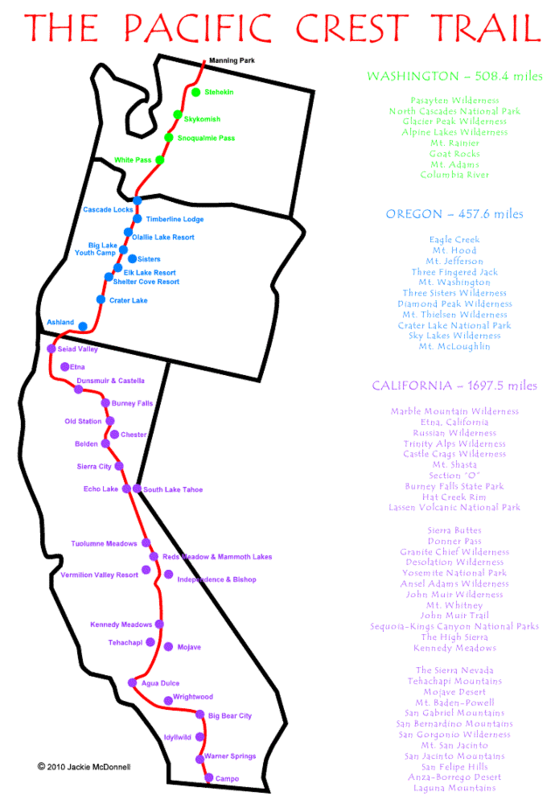 History on the creation of the trail states that the first proposal for the trail system connecting the States of California, Oregon, and Washington was made in 1926 which could be an exchange of mails and correspondence among early explorers in the area. The actual exploration started sometime in 1930 but there are no available evidence or journal to support this fact. However, in 1932, an oil magnate and explorer, Clinton C Clarke, started promoting the creation of the trail system as evidenced from his correspondence with John Muir and other explorer-environmentalist-outdoorsmen during those time. In 1935, Clinton C Clarke organized and spearheaded the conduct of the first meeting among his friends and associates who believe in his vision and objectives. Thus, The Pacific Crest Trail System Conference was formed with the objective to formally establish the route/connect “all the dots”/establish a route map and to lobby or create awareness for the federal government of its existence and to protect the trail system. The Conference consisted of Clarke, the Boy Scouts of America, YMCA, John Muir, Ansel Adams (famous photographer-environmentalist), and other environmentalists. From 1935-1938, YMCA and the Boy Scouts of America did a splendid job of organizing a yearly “Boy Scout Relay” along the trail route where each of the team carried a Log/Journal. The objectives of the “Boy Scout Relays” were to provide an actual ground/activity to practice the skills of scouting; create awareness on the activities of the Boy Scouts; and as a proof that the trail concept of Clinton Clarke is doable. The dedication, passion and commitment of Clinton C Clarke to the Conference and its accomplishments earned him the title of “The Father Of The Pacific Crest Trail”. In 1939, a year after, the Pacific Crest Trail system appeared on a federal government map for the first time. With the signing of the National Trails System Act by President Lyndon B Johnson in 1968, PCT was designated as one of the National Scenic Trails and protected by the federal government. 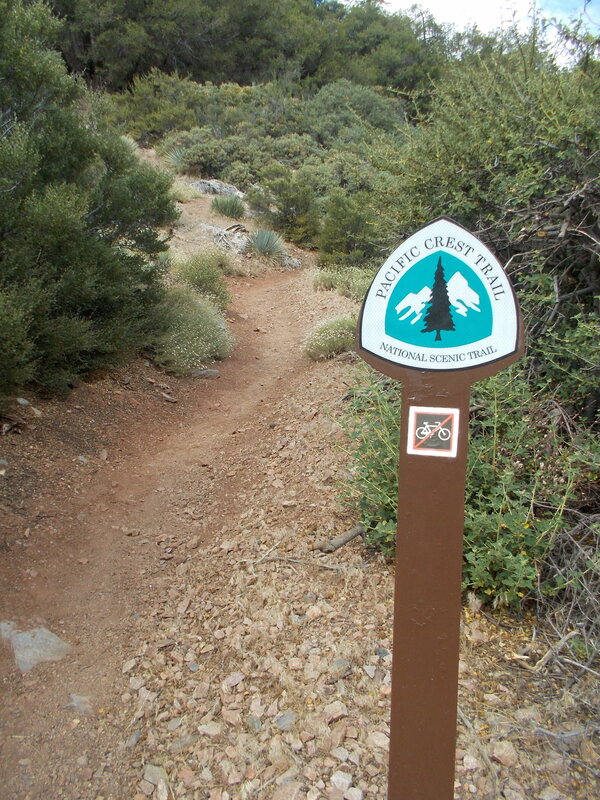 The Pacific Crest Trail Conference became incorporated in 1977 and later merged with the Pacific Crest Trail Club in 1987. The Pacific Crest Trail Conference changed its name as the Pacific Crest Trail Association which is the establishment that supervises, manages, and administers the Pacific Crest Trail. So, if you have plans of conducting a “thru-hiking” or “section hiking” along the PCT, it is best to visit their website for you to be guided in terms of permit, maps, schedules, and other details/announcements on the PCT. You can go to: www.pcta.org. I became aware of the existence of the Pacific Crest Trail for the first time when I recon the route of the San Diego 100-Mile Endurance Run two years ago as some portions of the first half of the ultra trail would course pass through the actual PCT. As I conquer and “peak bagged” some mountains in the San Gabriel Mountains and mountainous parts of Los Angeles area for the past 2 years, I’ve been seeing the PCT trail markings. However, I came through a published article about the exploits of Scott Williamson who was considered as the first “thru hiker” who did a “yo-yo” hike (South-North-South) on the PCT in a year and it gave me the resolve to read more about the people who were successful in their “thru-hikes” along the PCT! 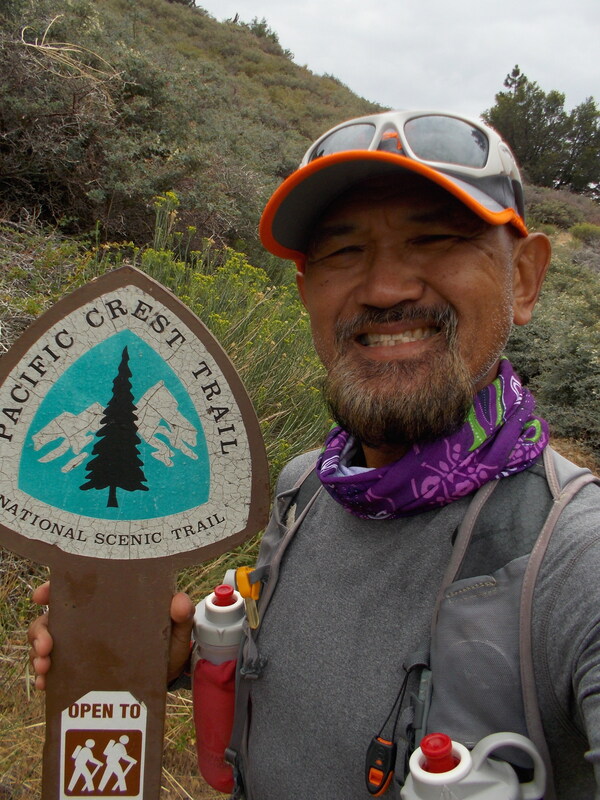 This interest on the PCT led me to read more stories and journal about the hikers at the PCTA Website, most specially on the blogs of those “thru-hikers” who are on the route and at the same time blogging about their activities/experiences and pictorials on the trail. At this time, I have three (3) published books which I’ve been reading for the past weeks. I am not saying that I am already an expert on the details of the Pacific Crest Trail but it is worth knowing the experiences of those who successfully finished their “thru-hikes”. General Ver: Sir, this is Lt Narcise, our NISA Station Commander in Ilocos Norte. President Marcos: Lieutenant, from where are you? Me: I am a native of Laoag City, Sir! President Marcos: How is the CPP/NPA situation here? Me: There is not much of activity except for sightings along the Ilocos Norte-Cagayan boundary, Sir. They don’ t have any mass base or reported training camps in the province, Sir. President Marcos: Try to locate the “Guerrilla Trail Route” that goes from North to South in the province all the way from Pagudpud to Pangasinan. I am sure the insurgents are using that route in their movements. 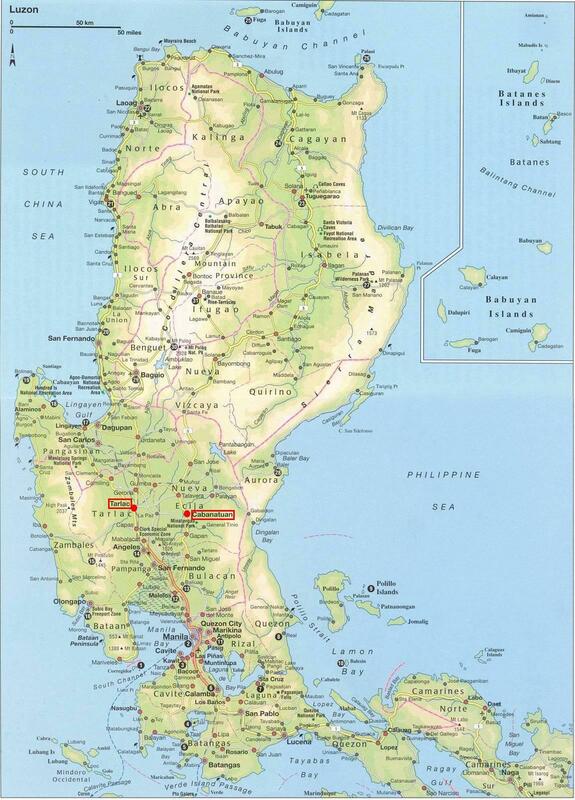 In the late-80s when the CPP/NPA established their mass base and training camps/s in the eastern mountainous parts in the province, they used this trail system in their movements from Cagayan and Kalinga-Apayao to the province of Ilocos Norte and back. The information about the presence of this “Guerrilla Trail Route” in Ilocos Norte was shared to the Scout Rangers of the Philippine Army in their Test Mission Operations which eventually led to the crushing and destruction of the CPP/NPA Provincial Committee and its armed personnel/component. With this debacle on the part of the insurgents, Ilocos Norte was never been attempted as a “refuge” or training base for them. In 1995 when I was a Battalion Commander of the 60th Infantry Battalion, Philippine Army where my area of operations would cover the province of Ilocos Norte, I deployed a platoon of soldiers to monitor the movements at the said trail system. In a few weeks, it resulted to a bloody armed encounter with the insurgents that cause to the death of three (4) insurgents and capture of numerous firearms and subversive documents. This armed encounter with the insurgents was recorded as the last armed fighting in the province up to the present. In a few months, the province was cleared and I was ordered to transfer my Battalion to the Province of Abra. At present, it is my plan to revisit the Guerrilla Trail System in Ilocos Norte and formally establish a route map to be shared to everybody. I envision a trail system that would start at the northernmost part of Luzon in the province of Ilocos Norte to the its southernmost tip of the province of Sorsogon. It will be a daunting task and a grand undertaking for me to accomplish with the support of my ultra running friends and my former/active comrades in the Armed Forces of the Philippines and the Philippine National Police. Initially, I will call this trail system as the “Luzon Ridge Trail” (LRT). The history and establishment of the famous and popular Pacific Crest Trail Association will be the template of this undertaking. The activities on the exploration of this “Luzon Ridge Trail” will be one of the topics of this blog in the days, weeks and months to come. The exploration will start this month in Pagudpud, Ilocos Norte. However, there is also a plan to start another trail system in Sta. Ana, Cagayan where the route will pass along the Sierra Madre Mountain Range all the way to the southern tip of the province Sorsogon. I might temporarily call this route as the “Pacific Coast Trail”. This a dream, a plan, and an undertaking that is worth dying for. I can only envision that this undertaking will benefit the whole country.